Getting internet has been a challenge for the last few days. 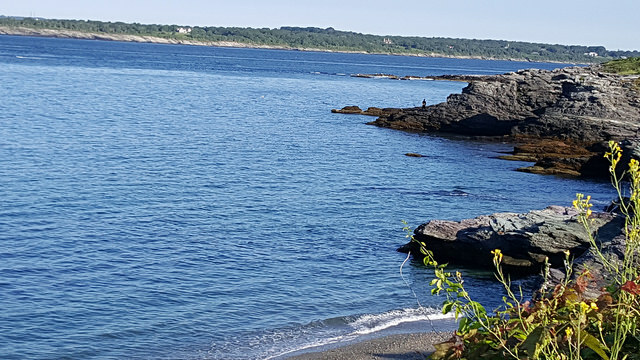 Our final day of ocean side bicycle touring is in Newport Rhode Island. After revisiting our route and wondering how we could possibly navigate the busy narrow roadways through touristy downtown, we happened on a road called Ocean Way. Who can resist a road called Ocean Way? 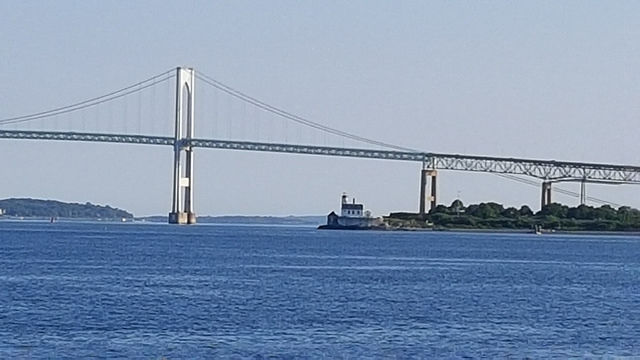 Newport is home port for sailors (The Americas Cup), the Tennis Hall of Fame and some of the most amazing seafood. All of these attractions draws tourists and traffic. And here we are, trying to ride our bikes on one way roads that are foreign to us, with drivers that are not as bicycle friendly as our prior days of touring. As this will be our last opportunity for ‘fresh catch’, we made sure save our prior dinner leftovers – for breakfast. When I say “we”, that might be liberal. I have no problem inhaling day old seafood leftovers for breakfast. As we assemble our bike gear, Jill gives me a stink eye as I nosh on half a crab cake. She has not yet mastered seafood for breakfast. No matter the food preference, while distance cycling – everything tastes better. Jill consumes her Cliff bars with deliberate chews, closing her eyes, and exhaling a slight ‘mmmm’ sound. With the feeding complete, and a quick nod in silence, chow time is over and it’s time to move on. By 6:30AM, we are pedaling, and by 7AM endorphins have kicked in. Our GPS route took us along the perimeter of the island to some of the most unimaginable ocean views. The first two hours of riding could have easily been ridden at a faster clip, but the spectacular views had to be savored. 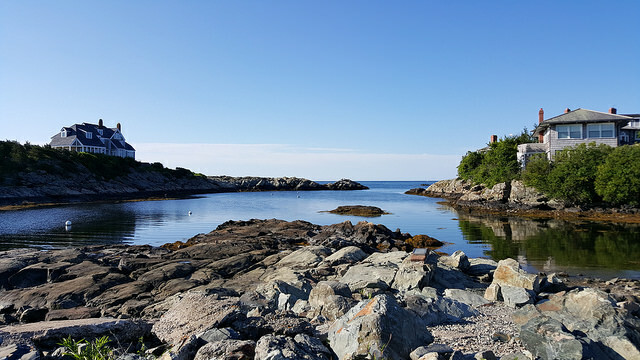 We took this opportunity to inhale the sea breezes, listen to the waves crashing over the rocky shoreline, and breathe in everything Newport has to offer. Oh, and there was no shortage of photographs. We ended the day further west and south reaching higher mountains than we have seen in the last 7 days on this tour. Our final sag hop put us in range of the Delaware Water Gap. Here, the bicycling will surely tax everything in our lungs and quads on roads that are narrow, winding, and have climbs that easily hit 20+ grades. Hello Pocono Mountains. New species? 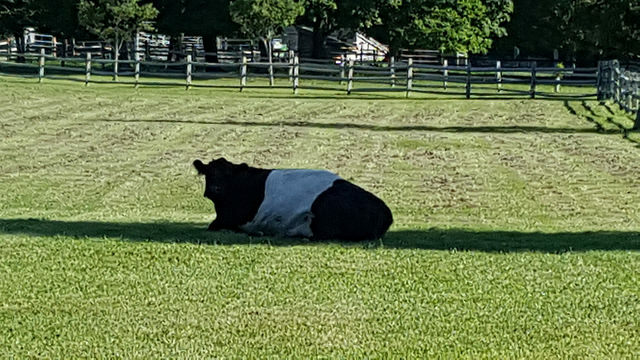 A panda cow!